Identifying 16 ‘best-buy’ markets for 2018, RealWealth Network highlighted four cities in Florida with good potential: Orlando, Tampa, Jacksonville, and Cape Coral. Since taking an economic hit in the great recession, Florida offers low prices (under $125,000), property tax and insurance rates. With rising rental rates, property values, and zero state income tax, it’s a great investment option. Jacksonville has a cost of living below the national average, and RealWealth Network calls it “one of the best real estate investments in the country right now.” Cape Coral’s had 26% rent growth over the last few years, and Forbes rated it the best city for future job growth in the United States in 2017. Rounding out their recommendations for warm-climates are Atlanta, Houston, and Huntsville, Alabama. Several cities in colder climates have strong investment potential, according to RealWealth Network and HouseCanary, Inc., a San Francisco based data analytics company. Especially in the first quarter of 2018, with winter a slower buying time when “weather plays a very strong factor in the seasonal sales dip,” according to Alex Villacorta, EVP of Analytics at HouseCanary, quoted in a recent Forbes article. 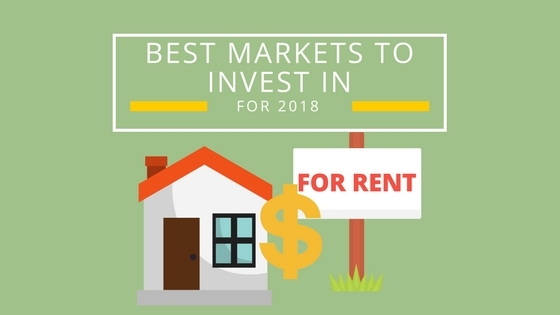 The Forbes article includes HouseCanary’s 2018 “50 Hottest and Coldest Markets for Rental Property Investment.” The top five are Cleveland, Detroit, Columbus, Indianapolis, and Pittsburgh, where “home price growth stabilized or declined” in the winter time. The data analysis used to rank the 50 markets is Effective Gross Yield (EGY). This helps investors “benchmark the health of the single-family-for-lease market by individual state, ZIP code, and block.” Calculate EGY by taking the annual rental income, subtracting the annual property taxes, and dividing by the current market value of the property. HouseCanary recommends that investors look for “micro opportunities” even in metro areas with average or below EGY where “hidden gems” do exist. Go “hyper-local…even where home prices continue to increase,” to find real opportunities. They selected five metro areas in the Southwest, based on EGY: Phoenix, Tucson, Las Vegas, El Paso and Albuquerque. Before you commit to buying a rental property – know the numbers! Use realistic estimates for rental income and expenses, like mortgage payments, taxes, insurance, and costs unique to a property — HOA dues, or lawn and pool maintenance. Getting a mortgage for rental property is a little different than one for your family home. 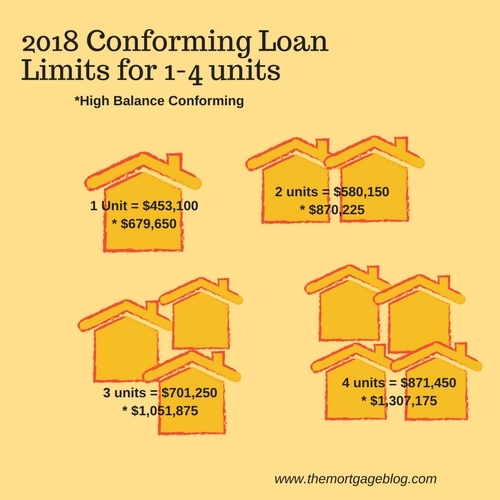 You’ll need 20% down for a 1 unit property, and 25% for a 2-4 unit property, with a conforming loan or high balance conforming loan. Conforming limits vary by county (see the detailed list here) and by the number of units. You’ll need to show few months of the full mortgage payment in reserves after you complete the purchase. Reserves are monies in your account, not an extra cost of the loan, and not held by the lender. A full mortgage payment, or PITI, is the monthly principal and interest payment, plus 1/12 of the annual property tax bill and 1/12 of the annual insurance premium. Higher interest rates apply for rental properties because lenders see more risk in this type of loan. The risk is the likelihood you won’t make the required monthly payment after they give you the money. And this happens more often with rental property loans than for owner-occupied. The higher rates are charged to compensate for a potential loss. 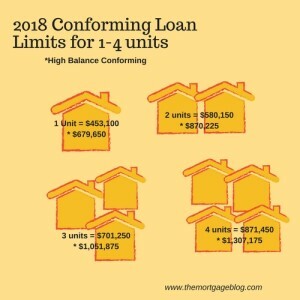 Beware of the limits on the number of financed properties: more than four, with your home mortgage included, and the down payment increases to 25% and 30% for 1 unit and 2-4 units respectively. This eliminates your ability to do a cash-out refinance (taking equity out). And no borrower can exceed a total of 10 financed properties. Yes, the rules, limits, and guidelines can seem frustrating, but you’ll address them all in the pre-approval processpre-approval process. And, if you do your homework on where to get the best buy and understand all the numbers – you will make a better investment for the long term.